Would you like to watch movies online and don’t pay anything? You’re not alone! Every day, countless people look for ways how to watch movies online without paying, only to arrive at websites ridden with malware, malicious links, and intrusive pop-ups. But in the endless sea of questionable websites, you can find legitimate sources of free online movies, and you can learn more about them in this article. Advantages: Video-sharing websites offer an endless amount of content. Watching movies on video-sharing websites is legal. Video-sharing websites work on many different devices. Disadvantages: Mostly independent content. You can’t load your own subtitles. Video-sharing websites such as YouTube and Vimeo offer an endless amount of independent content, including movies from content creators of all nationalities. If you like to expand your horizons and spend time with movies that won’t ever be in major theaters, you’re guaranteed to find something interesting on video-sharing websites. Some video-sharing websites, including Vimeo, allow their users to download movies and other videos for offline playback, but others, including YouTube, don’t make it so easy. However, there are readily available tools that you can use to download content from just about any video-sharing website there is. One such tool is called 4K Video Downloader, and it runs on Windows, macOS, and Linux. With 4K Video Downloader, you can download videos, playlists, and even entire channels from YouTube, Vimeo, and many other video-sharing websites in any quality and resolution you want. 4K Video Downloader can even transfer all downloaded videos directly to iTunes, so you can enjoy them anywhere you go. It also supports videos created with a 360-degree camera, making it one of the most comprehensive online video downloaders out there. Click the “Get 4K Video Downloader” button. Find a movie that you would like to download on a video-sharing website and copy its URL. In 4K Video Downloader, click the “Paste Link” button. Select your desired quality settings. Advantages: A wide selection of Hollywood and independent movies and TV shows alike. No registration required. Online streaming sites work in every major web browser. Disadvantages: The legal status of online streaming sites is questionable. It’s not unheard of for online streaming sites to go down without notice. Some online streaming sites serve malicious ads. Online streaming sites, including IOMovies.to, Putlocker.cl, or AZMovies, have established themselves as popular alternatives to torrents. Since they don’t host any movies, they are not actually illegal in many countries around the world. Depending on which online streaming site you visit, you might be greeted with either a massive selection of movies of all genres or an onslaught of ads, pop-ups, and broken links. But regardless of which online streaming site you visit, you should always do your best to protect your identity by using a VPN service. A VPN service allows you to create an encrypted tunnel between you and your online streaming service of choice so that nobody can see what you’re doing. (Optional) If you want to, create a user account by clicking on the “Login” button in the top-right corner and selecting the “Create a new account” link. 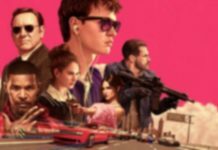 Search for any movie you want. Press the large play button and wait for a media player to load and start playing your movie. 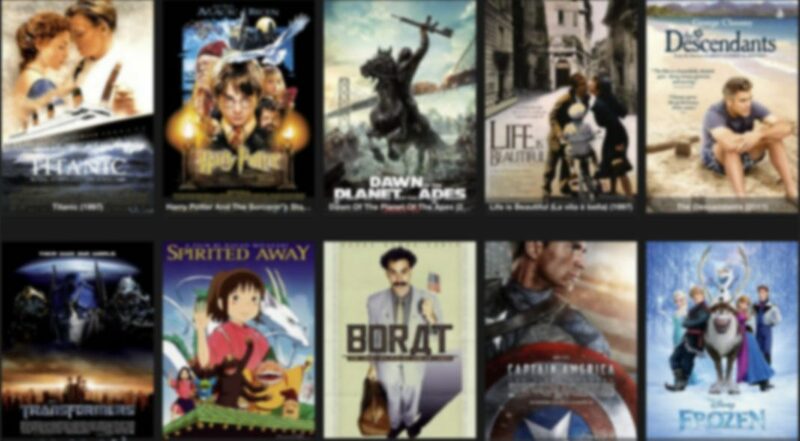 Most movies on IOMovies.to are available on multiple alternative servers, so you always have a backup in case the main server doesn’t work. Advantages: Completely legal. Highly secure and convenient. Disadvantages: You may be required to register before you can start watching. Most of the leading providers of original programming use geo-blocking to restrict access to their content only to users from certain geographic areas. There are many providers of original programming, including CBS, NBC, or Comedy Central, that share their content on the internet, but most of them have the same problem: they make their content available only to users from certain geographic areas. This practice is so widespread that it even has a name, geo-blocking. While the European Council has adopted regulation to recognize geo-blocking as a discriminatory practice that prevents online customers from accessing services from a website based in another state, it will take many years before content blocking is a thing of the past. Until then, your best option is to use a VPN service to hide your real IP address and make it seem is if you were located in another country. One popular VPN service that you can use to access geo-restricted content on the websites of various providers of original programming is ExpressVPN. ExpressVPN was launched in 2009, and the British Virgin Islands-based company has since then expanded its global presence with servers located in virtually every major country. Click the “Get ExpressVPN” button. Download the ExpressVPN client to your computer or mobile device and install. Select a server and establish a connection. ExpressVPN offers a 30-day money-back guarantee, and you can cancel your subscription at any time without giving any reason why. To find out what other VPN services you can use to watch movies on the websites of providers of original programming, read this article.